This is the first in an occasional series highlighting some of the online resources available at the Library that will be of interest to students and staff in History, Classics and Archaeology. The Digital National Security Archive (DNSA) from ProQuest gives you access to a vast collection of important declassified U.S. government documents. This provides valuable primary source material central to U.S. foreign and military policy since 1945 and helps advance research in history, politics and international relations. 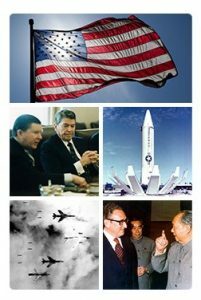 Within DNSA are collections that cover U.S. policy towards critical world events, including their military, intelligence, diplomatic and human rights dimensions. Each collection is overseen by a subject expert and they allow researchers to directly access the original documents that shaped responses to these critical world events. With the recent purchase of the collections U.S. Policy in the Vietnam War, Part I and II the Library now has access to 7 collections via DNSA.